Reddit have responded with alarm following reports that Chinese tech giant Tencent participated in a $300 million funding round for the website, with users fearing that the company might push Reddit to start censoring content on behalf of Beijing. And they're responding in the best way they know how: Making memes mocking the Chinese government. 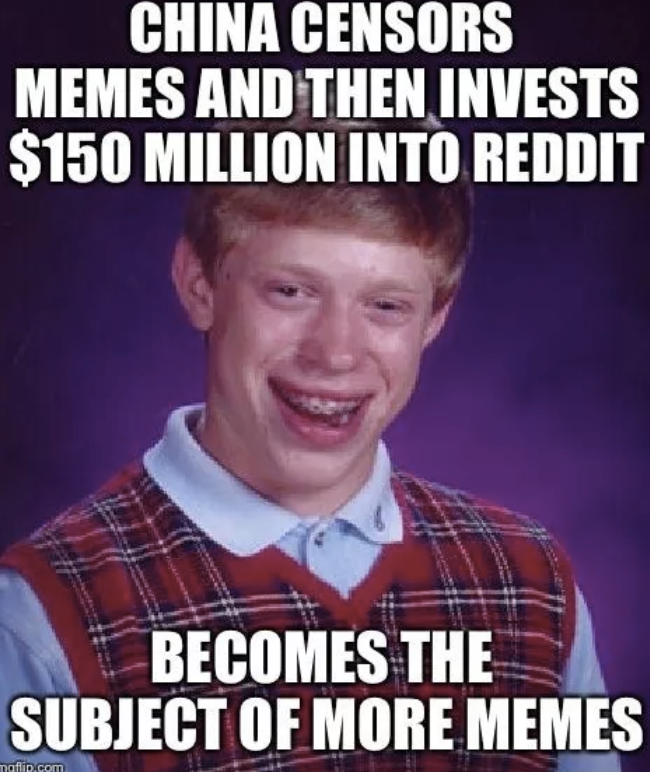 According to Bloomberg, Tencent Holdings invested in the funding round, which valued the site at $3 billion, despite the fact that Reddit is banned in China. 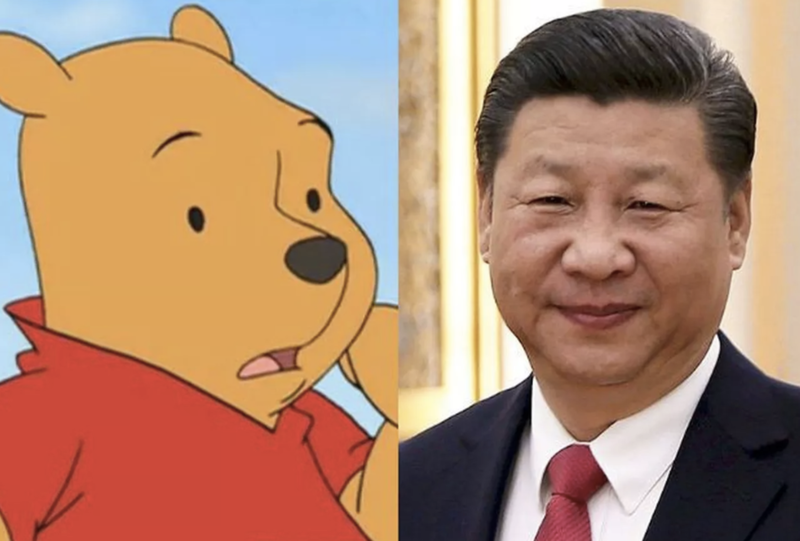 And, in typical Reddit fashion, users of the site responded by publishing images that are banned in China, like Winnie the Pooh (banned because users have mocked its resemblance to President Xi) and images of the famous "tank man" from the Tiananmen Square massacre. A concerted effort by a small group of Reddit users helped push the memes on to Reddit's vaunted front page. Reddit CEO Steve Huffman told BBG that Reddit's focus on the video game community is part of what drew the two companies together. "Video games are one category that’s really popular on Reddit," Huffman told CNBC. A spokeswoman for Reddit declined to comment on the controversy to Bloomberg. 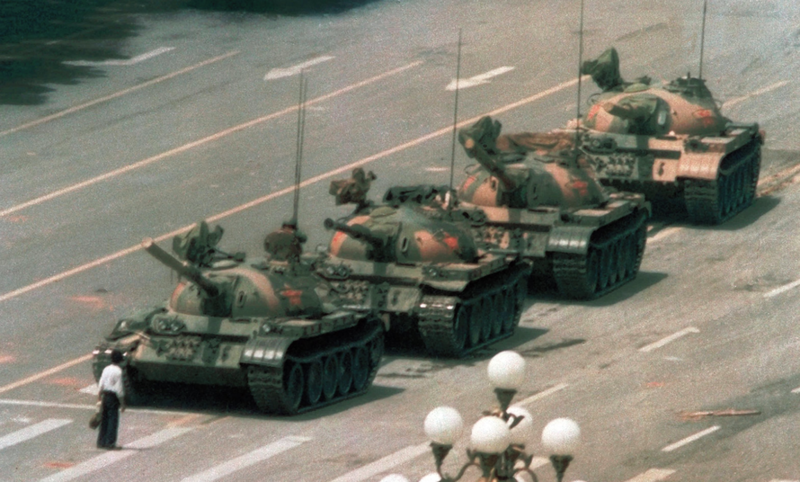 One Reddit user quipped, "I thought it would be nice to post this picture of "Tank Man" at Tienanmen Square before our new glorious overlords decide we cannot post it anymore." But if Reddit users decided to abandon the site en masse, where, exactly would they go?